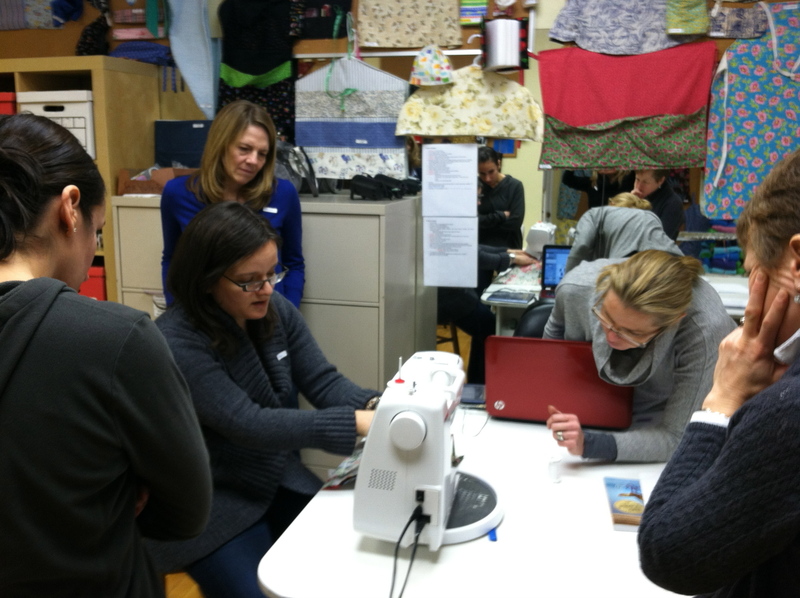 On Monday evening I was teaching a class at a local sewing studio. My students were all local moms and they’d come to learn to use their sewing machines. I’ve taught this class twice a month for four years now and I always begin by asking each person to tell the story of their sewing machine. How did they get it and what do they know about it? Every machine has a story. A few years ago I had a woman bring her great grandmother’s Singer to class. It was built into a large wooden sewing cabinet and she lugged it up the long flight of stairs to the sewing studio and set it up in the middle of the room. We plugged it in and wound the bobbin and it sewed beautifully! The thing is, of course, that old sewing machines are very often really good sewing machines. Unlike your grandmother’s vacuum, sewing machines age really well. I reassure my students that the old mechanical machines that weigh a ton and only perform the basic stitches run just as well as the sleek new ones. It’s always interesting to hear what motivates people to learn to sew. On this Monday one of the women in class explained that she works in health care full time, but has always been artistic. She’s got two young daughters and she pours a lot of her creativity into hosting beautiful birthday parties for them. “I don’t like to put things in goodie bags that kids are just going to throw away,” she said. For her younger daughter’s superhero birthday a few months prior she’d hand sewn capes for all 15 children of her daughter’s friends. “I didn’t sleep the night before,” she laughed. I begin the lessons by having everyone gather around my machine. We talk about the difference between hand sewing and machine sewing – machine sewing requires two interlocking threads to make each stitch. I hook the forefinger on my right hand with the forefinger on my left to show how the upper and lower threads will interact. Then we learn to take thread off a spool and put it onto a bobbin. When the women sit at their own machines to try it I have them wind the bobbin in one color and thread the machine in another. Later, when we start stitching, they see the role of each thread and it all makes sense. I didn’t’ grow up in a house with a sewing machine. My mother doesn’t know how to sew and my grandmother, who got her college degree from the University of Maryland at age 65 and promptly started a career as a social worker, was eager to get away from traditional women’s work like sewing. I learned to sew when I was 13 in 8th grade Home Economics class. I was terrible at it. Sewing seemed to be full of rules. It had to be done the right way and if you didn’t know the right way you were out of luck. One term of Home Ec certainly wasn’t enough to teach me the right way and with nobody at home to help me fix my mistakes I convinced myself that I really couldn’t sew. My children won’t even learn the rudimentary sewing skills in school that I did because although we live in a town with excellent public schools Home Economics is no longer a part of the curriculum. Although a few of the women who attend my sewing classes learned to sew at some point in their childhood, many of them have never operated a sewing machine in their lives. Sewing is something you have to figure out on your own. 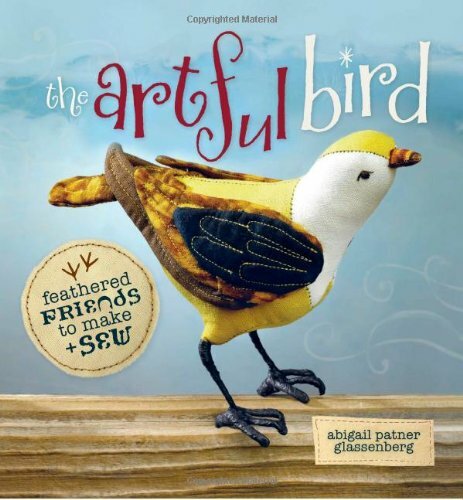 I try to approach teaching sewing differently than the way I learned. For me sewing isn’t about obeying rules and feeling stupid when you don’t understand the language those rules are written in (what does this little triangle mean?!). That kind of sewing holds no appeal for me. Instead I talk about sewing the way I experience it – sewing is about creative expression. And a sewing machine is a really effective tool to do it with. For years I’ve kept a hot glue gun in my kitchen. When my kids want to make things – “I need to put this milk cap on the side of this shoebox so I can make a T.V. !” – they do it with hot glue. Why? Because hot glue is a really effective tool. Have you ever watched a toddler try to glue a milk cap to a shoebox with Elmer’s glue? If you have than you know what true frustration looks like. Hot glue solves all of that. It’s an effective tool for creative expression, just like a sewing machine. In the last half hour of class we put all of the techniques we’ve learned into action and sew drawstring bags. While we’re scrunching the drawstrings through the channel I talk about indie sewing patterns. “Indie designers don’t assume you already know what the little triangle means! They give you a photo or an illustration with each step and write the instructions in plain English.” I tell them about Craftsy and sewing blogs. Almost nobody in my classes has ever heard of any of this. It’s eye opening for them, and a great reminder for me that the indie sewing revolution is not yet everywhere. As we were packing up on Monday evening the woman who’d hand sewed the superhero capes pulled some pink tulle out her bag. “I want to make a tutu for my daughter’s Barbie with this. How do you think I should do it?” I showed her how to fold the fabric and make a channel for the elastic. She was elated. Now she’s got at tool at her disposal to make her creative ideas come to life. What a great post. I’m from an older generation, the one that sewed everything and grew up with sewing (and making) skills as a normal daily event. After reading this I can appreciate issues that new sewists have to face. I’m frequently baffled when folks treat my handmade garments like a remarkable artifact and now I have a better insight as to why. And thank you for teaching. It’s folks like you that keep our craft thriving. “rules” yet, they try things that make sense to them and sometimes those guesses turn out to be something amazing. I teach dyeing and surface design much more often than sewing. There are rules that you need to pay attention to (ie safety), just like with sewing and learning not to put your fingers under the needle, but I agree with you that learning should be a whole lot more about expression and being comfortable with your tools and less about whether or not you are doing it the “right” way. I always say my classes are all about “empowering and inspiring”. I have been sewing all my life my parents taught me and I take it for granted that everyone can use a sewing machine but this month I began teaching a beginner sewing class and realized that people don’t know how to use a sewing machine. on the first night of class three of the four students came to class with the sewing machine still in the box ! teaching the class is teaching me so much. its a shame that home ec is no longer taught in school because I feel its a missed opportunity to discover a creative outlet. Do you listen to the Seamwork Radio podcast (put out by Colette)? There are only three episodes so far but they are fantastic. The latest one is an interview with a man who sews, and grew up in Oklahoma, where guys just don’t DO those things. At one point in the interview, he said that the sewing machine is probably one of the most important inventions in recent human history, but it’s never lauded as such because it’s associated with women’s work. Such an interesting commentary on women’s work and how it is valued now and has been in the past…lots to unpack there. I want to add that I really wish that life skills like sewing, gardening and cooking would be taught in K-12 education with the same importance as STEM subjects. There’s probably more overlap there than people realize, at least when it comes to creative thinking and problem solving. I too wish someone had told me about indie sewing blogs and patterns from the outset. My first few months of sewing in my 20’s would have been a lot less frustrating. Sounds like you are doing a GREAT job teaching beginners how to sew- you’ve approached the class very thoughtfully. I really like your style and your methods. Amy, thank you so much for this. I have experienced this for myself. I am an adult beginning sewer. I take online and in-person classes and am now hooked. My teachers have been wonderful. I am delighted by the things I can do now. What a nice and insightful post. I hope to one day teach sewing classes. It does seem like a very rewarding thing to do. Great post, I grew up watching my mother sew. And now my daughters are doing the same. Most of my friends do not know how to sew because their mothers didn’t sew and they find it fascinating! Totally agree re: sewing machines. They have a fascinating history. Although mine doesn’t as it’s a fancy shmancy quilting machine that I requested for my 40th bday :-). What are special birthdays for if not to get a special sewing machine????? I find very few rules in sewing that need to be kept but there are some basic common sense ways of doing things that have become standardised for good reasons. For that reason I would always recommend a good reference book and preferably one written pre internet. If you have a good reference book then there is no need for Crafty (which does not always show good practice) or poor online advice which is prevalent unfortunately. I think a lot of sewing blogs have tried and failed to re-invent the wheel and in the process spread some very poor practices which then end up in books which the bloggers write. Not just new ways of doing things which is fine and can be an improvement, but poor workmanship and bodging which is quite problematic. Pinning and tacking have gone out of the window and speed seems to be of the essence. – where something needs to be done all in a couple of hours. There is little written about enjoying the processes and taking your time to do them effectively. I often see very wonky and poor sewing because a few moments were not taken pre sewing. It’s become all about unnecessary gadgets and people buy tape and stick things on fabric with glue, when just a few stitches would suffice to hold in place (not messy and takes 5 extra minutes to get something looking good, that you won’t need to rip out). Very few people do decent hand sewing to finish their garments. A hand sewn hem should not be seen at all – totally invisible from the front. Yet there are stitches that show through and big chunky ridges that spoil the garment. It’s not surprising, because this is what shows up as how to do it online in tutorials. The experts simply are frequently not very expert. I know it doesn’t sound like it, but I do think pedantry in sewing can really spoils things but good basic skills will take you so far that then you know enough to break the rules and can do it your way. A person who comes to mind who really knows what they are doing is Ann Rowley the first winner from The Great British Sewing Bee. She has very real skills which she can adapt to use whichever way she needs to. I agree with you 100 percent. Sewing, unlike many other home ec skills, is a highly technical craft and has to be learned from an actual sewist. Sewing can be a creative but it still requires accurate measurement, precise matching of parts and proper sewing. If you ignored all that, what you will get will be like the shirt that Denise Huxtable makes for Theo Huxtable in the Cosby show. The kind of creativity that is permissible in a painting clearly will not do in sewing, if you want to wear the garment you make. For that matter, it applies to anything that one sews–you cannot exercise creative freedom and affix a zipper in any way you want if you want the purse to close properly. And then, there is the aesthetics of sewing–invisible hemming, neat stitching etc. Finally, sewing machine is actually a complex piece of machinery. Even if one learns how to thread the needle, wind the bobbin, it still requires many hours of use to get a sense f how the machine responds to the material under it. I have to disagree! I think the kind of creativity that is permissible in painting is totally allowed in sewing. I don’t aspire to sew perfect garments (or any garments for that matter) nor do I aspire to make perfect patchwork. I sew in a totally creative way. I’ve sewed nearly every day for ten years and I’ve learned a lot of techniques that make sewing easier and more accurate, but I totally embrace the sewing machine as a tool for creative expression. I think I have to agree with Indira on this one. You can be creative all you want but if the workmanship isn’t there, meh! Whether it’s pieces fitting together properly in a dress or quilt, workmanship counts. I used to sew all my own clothes many years ago but many years ago moved into quiltmaking. It frustrates me to no end the sloppy sewing that I see when I participate in block swaps. I’ve pretty much curtailed joining any swaps for this reason. Accuracy matters. This is in response to Indira and Marianne’s post. I think it depends on your intentions for sewing. If your intention is to teach sewing to kids, then you have to present to them in a way that is fun and creative. If your intention is to become a seamstress and work in a factory then yes, you need to be technical and precise. It all depends in the way it is to be used and who you are teaching too. I’m with Abby on this one. I never would have learned to sew if all I had to rely on were a book, a set of rules, and someone telling me I’m doing it wrong. Sure, the first few things I sewed were wonky, but I *still* love them. And you know what? So what if it’s imprecise or not to someone else’s standards? It’s MINE. I get to decide whether it’s acceptable or not, not anyone else. Once I realized that this sewing thing was going to stick, that’s when I started researching better techniques and investing in better tools. 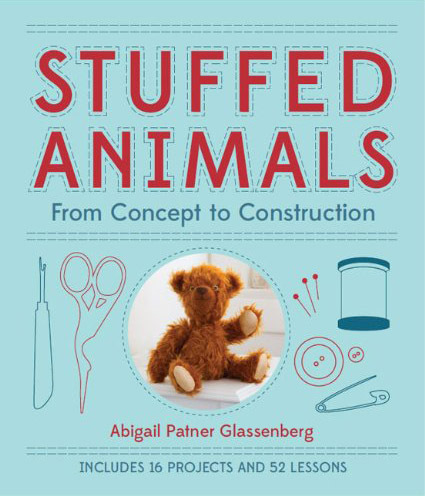 Every person learns differently and taking an engaging and inclusive approach like Abby’s is going to get more people sewing than not. I think it’s a gradual process. My daughter started sewing her Barbie ‘ s clothes and I kept out of it. Then she started on her own costumes and I kept out of it. When she asks for help, I help her. I teach sewing sometimes and it’s a fine line to tread with beginners, nitpicking their work. They don’t see the mistakes and it’s more important sometimes for them to just finish a project than for it to be perfect. Yes there are rules and standards, but everyone should be free to follow them as they wish. If you’re sewing a dress for your daughters dolls, who cares what the inside seams look like. Neither the doll nor your daughter will, and isn’t that what counts? If you are trying to sell wedding gowns it would be a good idea to learn some of the rules, if not you probably wont manage to sell any. You first need to decide why you are sewing, for whom and what standard you wish the finished product to have. Then you can decide what skills you need and what rules you should follow. Sewing can be highly mathematical, or it can be purely creative. Most people end up somewhere in between. Ha ha. You might wonder why I am laughing at your post but you were almost describing the first lessons I give. I work in the UK for an organisation called Adult Education. As a tutor I go out to community centres and schools and teach basic sewing skills. I strata earthly as you do by interlocking my fingers, winding a bobbin etc. It is amazing the stories people come with and why they want to see. Only difference is that I do draw string bag on week 2! Week 1 is usually a simple 3 fold cushion cover. Even down to the tutu! Last week I was working with a group who made tutus but this time for a charity run. In the past years it’s been great to connect with people on the internet but now I see we are even connected by the way we teach. We are just the same the world over. Thanks for sharing you story and listening to mine. I teach beginner sewing classes too, but mine are hand sewing classes to children. Most of the mothers of the children ‘can’t even sew on a button’ as they tell me all the time. My aim is for the kids to love what they’re doing and have fun…wonky, uneven or large stitches…they’re all ok. I don’t get the kids to undo their stitching, I just show them what the stitch should look like and tell them they need to look at their work when they’re sewing (kids sometimes forget this!) and if needs be they sew another line of stitches over the first. What amazes me time and time again is how quickly the kids stitches improve, sometimes even from the beginning of the lesson to the end. I think that if the kids are having fun, if they like what they’re doing and they’re not under pressure to make perfect stitches, they’ll thrive …and they do!!! I think the right teacher makes all the difference. I totally understand that there are rules and best practices that make sewing better. I also know that those rules are really intimidating when you’re first learning. I enjoy sewing as a way to express my own creativity and to this day I avoid sewing clothes and making quilts because I live in fear of the judgement of those looking for a perfect invisible hem and perfectly matched points. I can totally relate regarding not sewing until Home Ec in junior high. If I hadn’t had that class, I would probably have not had the confidence to begin again as a single adult who just wanted to make some pillows and curtains. I need to look at your sewing machine class book again – I purchased it last year and thought it was great. I have always been a self-learner and have assumed that others figure it out the same way, but I am sure there are people here that I could do that class with who need someone to show them in person. I homeschool my three sons (my baby daughter too someday) and we have the unique problem of getting our academics done too quickly. It’s not that we challenge them too little, it’s just a natural consequence of having a much lower teacher-to-student ratio. They get the core academics much more quickly, and I don’t necessarily want to fill the rest of our time with unnecessary busywork. I realized recently that I should just start to teach them how to sew and do other hand-skill based activities, like woodcrafting, etc. Not only do these things reinforce math skills, but they also encourage a different way of thinking about things (visualization skills, planning, etc.). I love the finger gesture. It is exactly the same one I use with my Kid’s Sewing class. I am really lucky to be able to teach kid’s, age 8 & up, at a local quilt shop. They make pillow cases for their first project. They can then attend Kid’s Club and work on a variety of projects. Last week one little gal in Kid’s Club is working on a simple blouse. She is working so hard and is very proud of herself. I tried to learn sewing in a seventh grade classroom . The poor overworked teacher could not possibly attend to everyone who needed help. It also didn’t help that we attempted a garment! So, that summer (think it was 1969 ! ) my friend and I ‘were bored and went to one of the old ‘Singer Sewing Centers’ and took a ten week basic sewing course. The best time I ever spent. and have enjoyed it ever since. Sewing is taught in high school here for one semester as a compulsory subject for year 7 or 8, so twice a week for 20 weeks age 12 or 13 (year 7 or 8) and then as an elective for years 9-12. They typically make a set of place mats using decorative stitches and different colour threads, a tote bag, pair of boxer shorts, a cushion with a zip and a pin cushion. My eldest son has done soft toy design in year 9 as an elective, he sewed a set of fleece dinosaurs and they each made a toy for the local kids ward at the hospital. Other electives are costume making and prop design, dressmaking, home wares and advanced aprons (to be entered in the local apron festival). Sadly no quilting yet. I have been sewing all my life. I learned basic clothing construction in summer school when it was possible to take “fun” classes instead of just remedial ones. I had a great teacher and still do many things the way she taught me that summer. My sister was in class with me and so she learned to do things the same way. Over the years we have had many great times sewing together. There are 4 girls and one boy in my family and we made all the bridesmaids’ dresses for all the weddings (3 in one year!) I loved every minute of it! Now I’m primarily a quilter and still love every minute! Just curious, I live in your area, where do you teach? 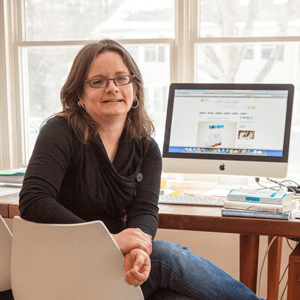 I teach at Sew Easy on Linden Street in Wellesley. It’s a sewing center for kids and I teach the only adult class. Mostly it’s moms of the kids who are enrolled in the afterschool sewing classes. Children love it there and they ask for a sewing machine for their birthday or for Christmas, but then they need help and so the moms come to my class to learn to use the machine and to get started making projects of their own! Lovley and timely post for me: I put the final stitches into a new quilt this weekend and was reflecting that next year my machine and I celebrate our 30-year anniversay. We’ve been through a lot together: from couch covers to couture finishing, not to mention the epic all-nighters we’ve pulled to deliver a dress on a deadline. An old Bernina from the days when they were still made in Switzerland, she weighs half as much as I do and thanks to her incredible build and engineering has uncomplainingly put up with all kinds of abuse at my impatient and unskilled hands.. Nowadays we’re the best of freinds. It’s taken me most of my lifetime to learn to sew well: my machine as been teacher and friend through all my serious sewing. I’m considering having her buried with me when my time comes! It has been a treat to read your article and the comments. My story is I am an occupational therapist in a psychiatric hospital. I try to engage patients in different, functional and creative activities. My old sewing machine has been a great tool. The adolescents love to take any old fun piece of fabric and make pillows. 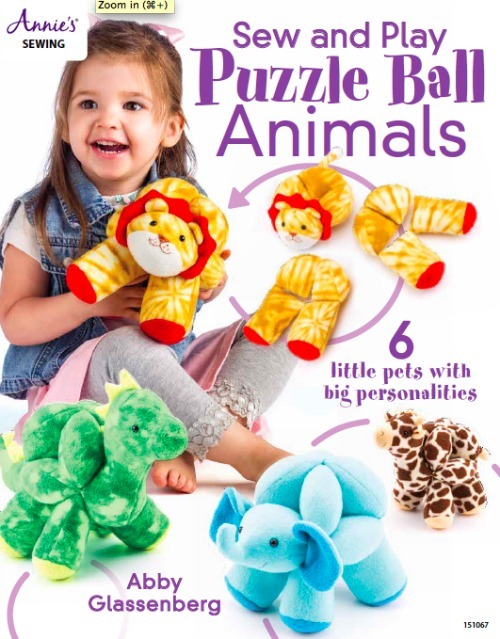 I show them the basics and they can quickly and easily make something cozy. I go through a lot of stuffing, but it’s worth it. (In a pinch pillows from the hospital can be repurposed!) An elderly man learned the basics then went out and bought a machine so he could make a cover for his boat. It has been a pleasure to share this skill with folks who are depressed. They have a sense of accomplishment that medication can’t beat. Thanks for all you do on your blog. You are my inspiration. 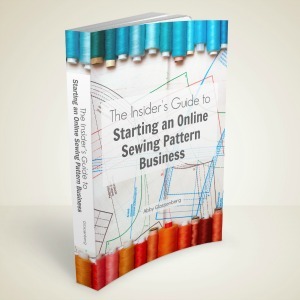 I love reading your blog and yes, yes, yes I’m very interested in an ebook from you to teach sewing. Can’t wait!